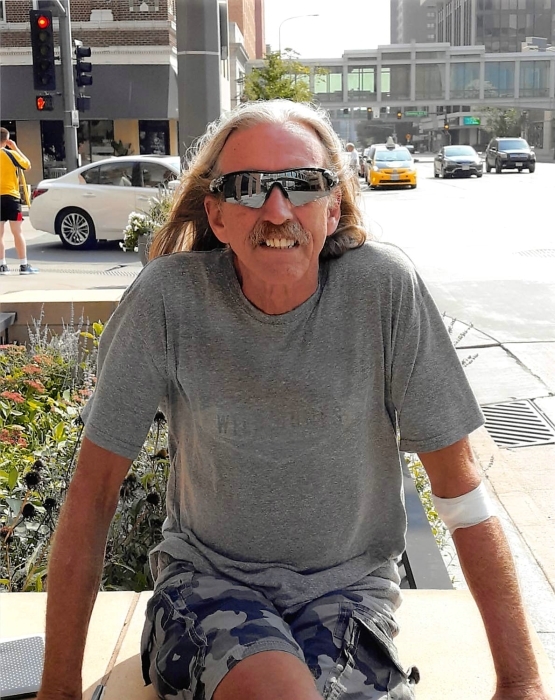 Gary Allen Wicker, 59, died January 31, 2019 at his home in Detroit Lakes, MN of pancreatic cancer. He was so strong and positive throughout his illness and he fought so hard, even the doctors and nurses were amazed at his resiliency. A Celebration of Life for Gary will be held Saturday, February 9 at 2pm in David Donehower Funeral Home, Detroit Lakes. Visitation will be held one hour prior to services. Interment will be held in the spring at Richwood Cemetery. Gary was born August 5th, 1959 in Detroit Lakes, MN to Gilbert and Margaret Wicker. He graduated from Detroit Lakes High School in 1977. In 1977 he joined the U.S. Army and was stationed at Schofield Barracks in Oahu, Hawaii. Gary was honorably discharged in 1980 and returned to his hometown of Detroit Lakes. He was employed by the U.S. Postal Service for 37 years and participated in the N.A.L.C. for ten years. Gary loved getting involved in his community through various activities. He was an avid bowler and for a period of time he was president of the Eagles Club. Gary loved life and a big part of that was enjoying the outdoors. You could always find him hunting and fishing with his family and friends. He enjoyed a short retirement and spent winters in Hawaii and Cabo San Lucas. He always had a smile on his face and a laugh that let you know he truly enjoyed life to the fullest. Gary was preceded in death by: Father Gil Wicker, Step-father Gene Murphy, Step-mother Rita Wicker, Step-Brother Steve Erickson, and Granddaughter Chloe Conn.
Gary will be deeply missed by his wife Betty, his mother Mardy Murphy, brothers: Mike Wicker, Ron (fiancee Dawn) Wicker, Chris Erickson, and Jed (Amy) Erickson and two sisters: Sue Olmstead and Sharin Wicker. In addition he is survived by his three children: Ashley Hagerman, Stacy Conn (Jerod), Ryan Cornwell (Carrie) along with three grandchildren: Christian Conn, Jaxson and Jameson Cornwell and numerous aunts, uncles, nieces, nephews, and cousins.